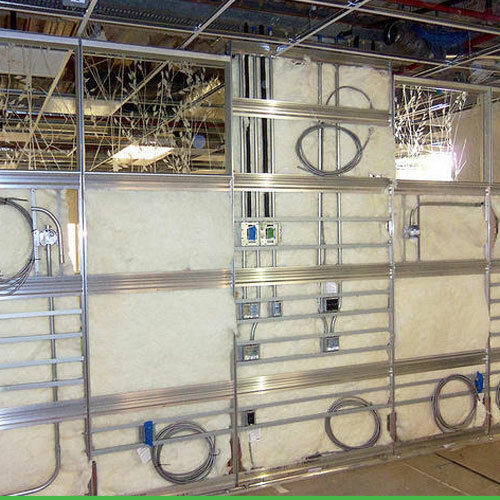 Prefab walls are pre-engineered and pre-manufactured walls that are installed in a building as an alternative to fixed conventional construction. 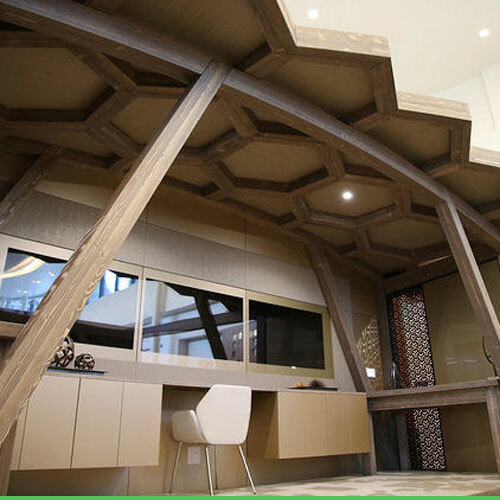 Prefab walls offer a variety of different aesthetics and provide functional agility for today’s flexible workspace. 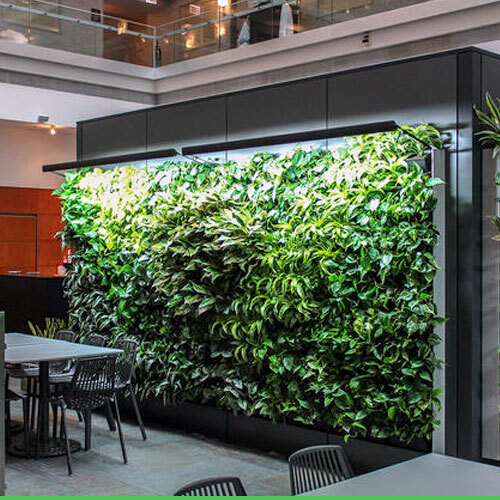 DIRTT brings its sustainable, modular and flexible approach to the world of Living Walls with Breathe. This DIRTT system is a way you to introduce living plants into your interiors. This is way to take advantage of the beauty and air cleaning attributes of plants, all without using up precious real estate. Modular power includes pre-manufactured power components that provide an easily accessible and flexible alternative to conventional power, providing the user with a sustainable and adaptable power solution. 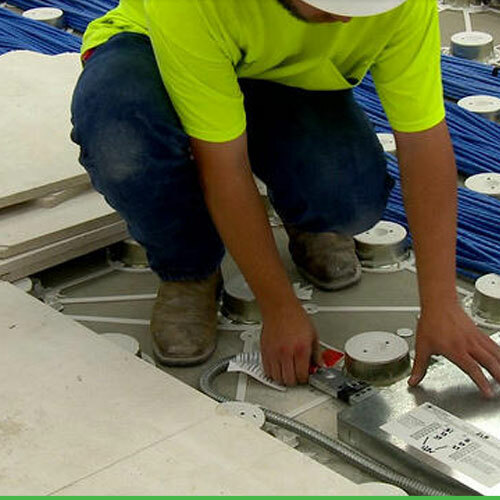 Raised access floor systems provide an easily accessible area below the finished flooring for locating power and data applications, plumbing and HVAC systems. Its primary benefit is allowing easy access to power, data, HVAC, or plumbing in buildings that have a high requirement for servicing, changing, or reconfiguring these items. 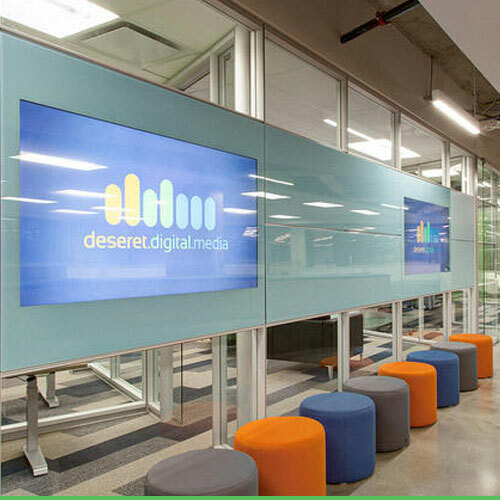 An environment where technology is part of its DNA is an environment that should have DIRTT. Start with clean, smart integration either inside the Walls or hanging from them. Monitors, CPUs, speakers, MP3 docks, USB ports, and security readers. DIRTT Walls not only support these elements and their accompanying cabling, but they keep them secure. Casegoods offers custom millwork to meet your specific storage requirement needs in any application. Wahu provides unique healthcare cabinetry solutions, which attach to modular or conventional walls. Simo provides custom cabinetry solutions for various types of organizations. Each are designed parametrically, so you have unlimited flexibility in cabinet size without paying for customized case goods. The Timber structures deliver free-standing, multi-level solutions for structures or high-ceiling spaces such as tradeshows, factories and warehouses. They can be assembled quickly, with minimal labor. DIRTT uses a mix of wood and steel connections to achieve the architectural design requested. DIRTT’s Bespoke Ceilings provide endless possibilities to create overhead geometric designs and add superior acoustics to any space. 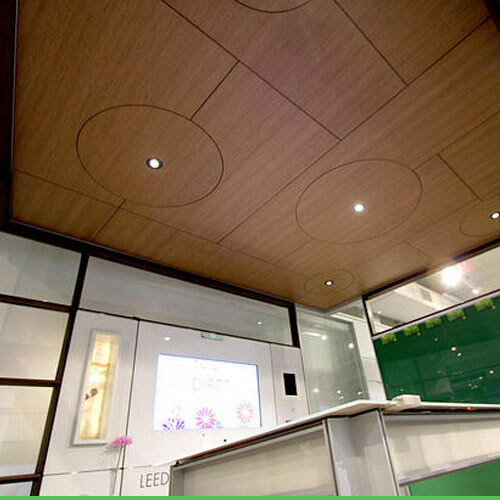 Available in Teck grain veneer or Thermofoil finishes, our custom-built ceiling solutions are manufactured to your specifications.